At Brandedsg.com, we believe in paying for quality workmanship. We hope that anyone who visit Brandedsg.com, looking to buy Chanel earrings and investing a good sum to get them, wants a pair that was crafted by Chanel and sold in one of their boutiques, not cheap knockoffs of any origin. Like it or not, due to their timeless design and popularity, there are many fake Chanel earrings swimming around the internet. We hope that this 6-step guide to authenticating Chanel earrings will help you to separate the real thing from the ‘wannabes’. 1. Do get yourself familiar with Chanel designs. Browse their website, Chanel.com and if possible, visit a Chanel boutique or reputable vintage store to get a feel for their aesthetic and workmanship. The more authentic pieces you examine in person, the more adept you will become at determining which is which. 2. Chanel does not use precious metals, such as sterling silver, gold or platinum, on any of their earrings or jewellery. Metals used are rhodium, stainless steel, and rhodium over steel. Precious metals and jewels are reserved for Chanel’s boutique lines which are extremely costly. If you are buying in person, be sure to hold the earring. It should feel heavy and sturdy, not flimsy. Alarm bells should ring if otherwise stated. 3 . Check for an authentic stamp. Authentic Chanel costume jewelry that has been made within the last few years will have a laser engraved CC. Pierced earrings tend to have plastic disc metal backs, and hoops have clasps, so they do not fall out of your ear.If the earring is large enough, the back will have a stamp of authenticity. However, Chanel hoop earrings are not produced with this stamp of authenticity. 5. Check the workmanship. Backs of the earrings should be double forged. The stones should not come loose or fall out. The metal should feel solid and not bend. DO NOT BE FOOLED BY A BOX, TAG OR SERIAL NUMBER. Chanel earrings do not comes with an authenticity card, if anyone else provide an authenticity card, you should be very worried. 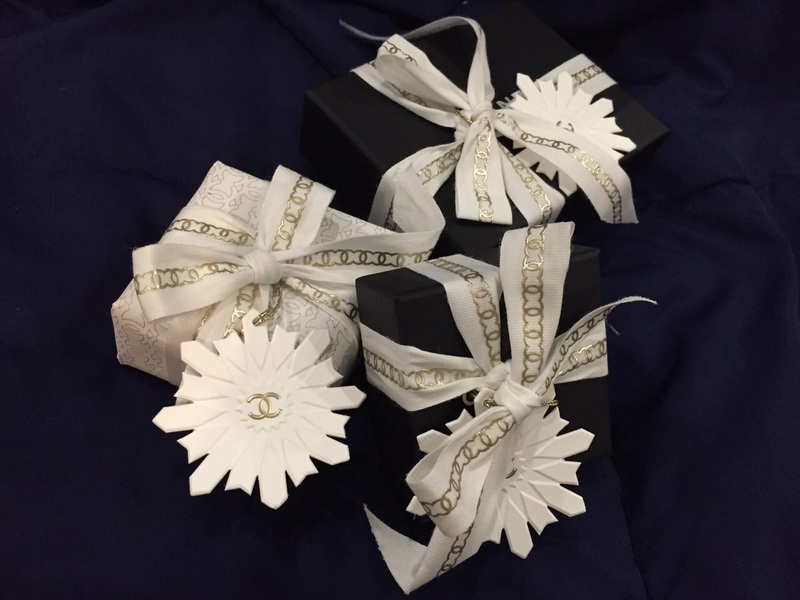 And apart from those sold in Chanel’s flagship store in 31 Rue Cambon, Paris, the box is white in colour, those earrings bought any other boutiques will be the normal black box. 6. Chanel don’t have any factory outlet nor sells older overstock items from their costume jewellery line. They are destroyed to prevent any counterfeit replicas. Have fun shopping for your Chanel earrings! Chanel Jewellery galore. They are all authentic, in case you are wondering.